Our reputation in the market is largely attributable due to our reliable Mobile Web Designing. The offered web design service is rendered by our skilled professionals who have vast knowledge in this field. 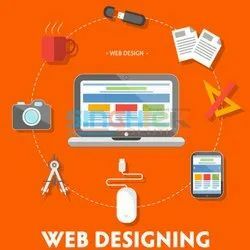 Further, offered web design service is executed with the aid of latest techniques softwares which are highly reliable. we develop Static, Simple Dynamic , Corporate Dynamic , E-Commerce Web Sites. XML is now as important for the Web as HTML was to the foundation of the Web. it is the most common tool for data transmissions between all sorts of applications. Hit your moving subject. We have a bunch of experienced CSS developers who are more than capable in writing perfect mobile CSS files and incorporate them with HTML 5 to create stunning mobile websites that are compatible with arange of mobile operating systems including Android, is and Windows Live. We are engaged in providing exclusive services for Web Design and Development, Blog design, Blog Development, Portal Development, interactive websites and the like.